Celtic Water Solutions (CWS) is a leading Water Treatment company who supply Water Filtration Systems throughout Ireland. 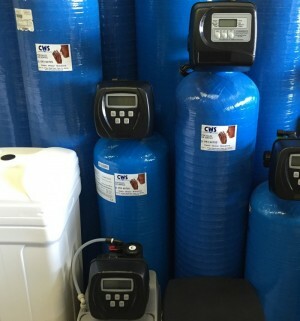 We aim to provide you with the best quality water possible. With offices in Galway, Dublin & Sligo, and engineers based nationwide we service over 50,000 satisfied Domestic and Commercial customers including many Group Water Schemes, HSE, Radisson Hotel Group, SSE & Dublin Airport. Why Choose CWS as your Water Treatment Company? Many customers have different water treatment requirements, resulting in a wide range water filter systems and services. We supply many top quality products from manufacturers such as Clack, Sita, Fleck, Trojan, Sterilight, Gel, Hydrosoft & Oasis. We also provide efficient servicing of existing water treatment equipment, we supply water treatment chemicals and chemical dosing pumps, water disinfection, tank cleaning, well water pumps, for domestic and commercial clients. We also carry a wide range of parts which enables us to carry out water system repairs on units even when we did not originally carry out the installation. We can ensure your water system is working properly by carrying out a water test in your home or business. We also supply and deliver water softening salt tablets.